Property 2: Our Sacred Valley Home-Away from Home. 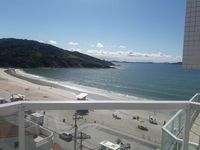 Rent Wonderful Apartment at 120 meters from the Great Beach of Ubatuba !!!!! Property 13: Rent Wonderful Apartment at 120 meters from the Great Beach of Ubatuba !!!!! You Found It! Your "Poolside Paradise" is waiting for your arrival! look inside. Property 26: You Found It! Your "Poolside Paradise" is waiting for your arrival! look inside. Sobrado Itaguá, close to Shopping Itagua Harbor, beach and good restaurants. Property 32: Sobrado Itaguá, close to Shopping Itagua Harbor, beach and good restaurants. Villas Located Two Miles From The Equator In The Middle Of The World!!! Property 33: Villas Located Two Miles From The Equator In The Middle Of The World!!! Juquehy beach house with pool, sleeps 6 adults and 2 children, cond. closed. Property 38: Juquehy beach house with pool, sleeps 6 adults and 2 children, cond. closed. Ocean-Front Luxury Apartment with Amazing Views. 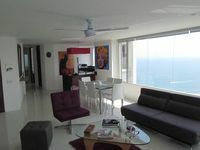 Property 49: Ocean-Front Luxury Apartment with Amazing Views. We had a wonderful stay. The apt was nearby all we needed and wanted. Thank you for a great vacation. The apt was clean and the staff was lovely. The manager was prompt with response on all of my questions. Thank you!! !